Another breakfast sampling project is upon us! 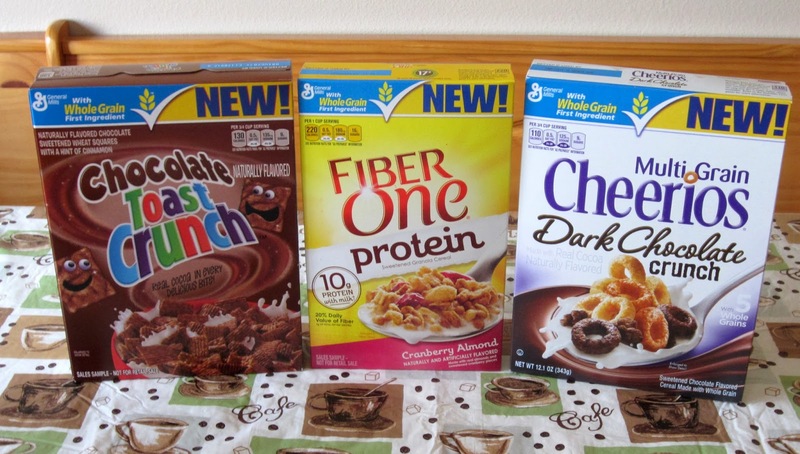 This time, we're testing out the three new Big G cereal flavors from General Mills, available at Target. And, as usual, F&B are up to the challenge. Multigrain Cheerios Dark Chocolate Crunch: Dark chocolate flavored O’s and clusters coming together to make wholesome Multi Grain Cheerios even more delicious! Fiber One Protein: The powerful combination of Protein and Fiber in a delicious granola cereal that helps you feel full! 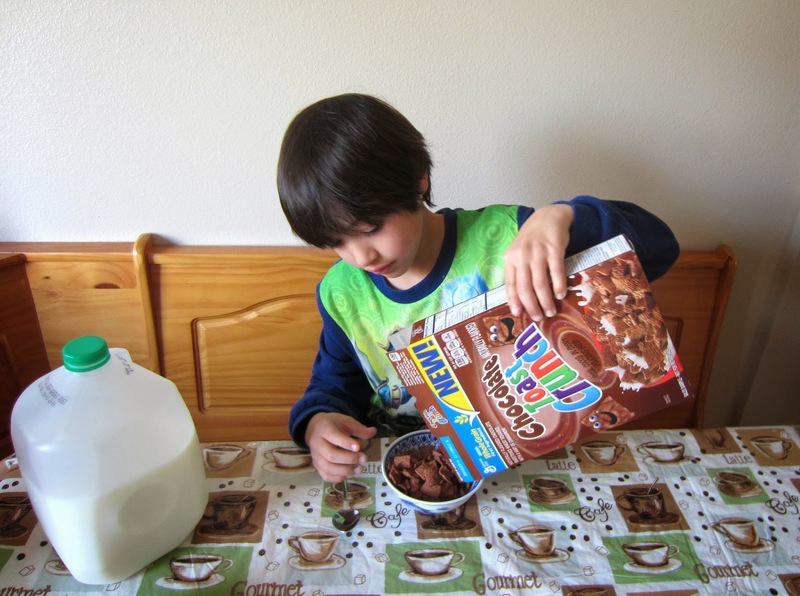 Chocolate Toast Crunch: The irresistible squares you love now with the delicious taste of Chocolate! We set up a proper sampling area with a bowl of each type and some nice cold milk. After the typical "No, it will not kill you to take a spoonful out of the same bowl" discussion, the kids got to work checking out the flavors. What did they think? Good news is they loved all three. The bad news, they each picked a different favorite as did I. Then again, that may not be bad news. At least we don't have to share with each other! And if you're keeping score at home? Ben liked the Chocolate Toast Crunch best, Faith picked the Multigrain Cheerios Dark Chocolate Crunch, and I liked the Fiber One Protein. Disclosure: General Mills sent me this information and these new Big Cereals (or identify all 3) through their Platefull Co-op program.